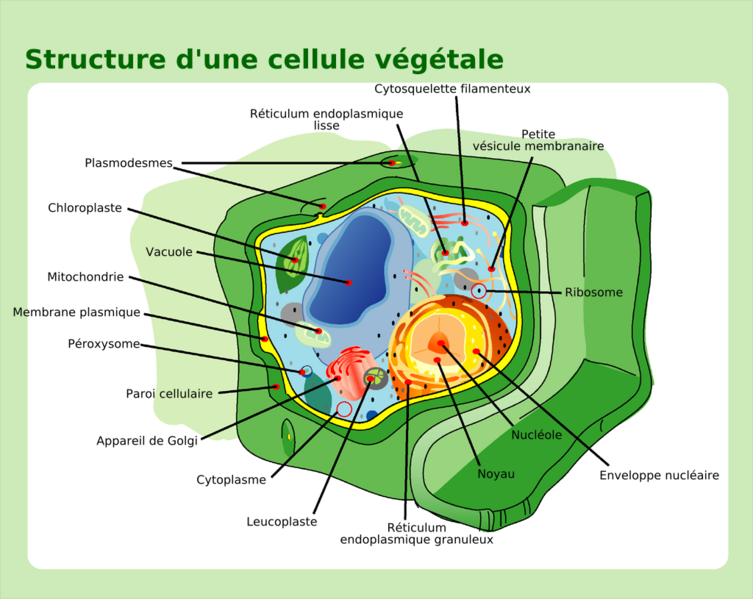 A vacuole is a eukaryotic cellular organelle which is specific to plant and fungal cells. A vacuole is a large single structure which varies in size depending on the cell and is delineated by a lipid membrane known as a tonoplast. The vacuole makes up 80 to 90% of the volume and weight of the plant cell. It mainly contains water but also organic compounds such as carbohydrates, ions, and pigments, etc. The main role of the vacuole is to maintain cellular homoeostasis, i.e. maintain correct concentrations of materials in the cytoplasm by selectively storing materials within its membrane. It also plays an important role in the turgor pressure of plants cells by providing a sufficient pressure inside the cell to maintain the rigidity of specific anatomical structures (stem).